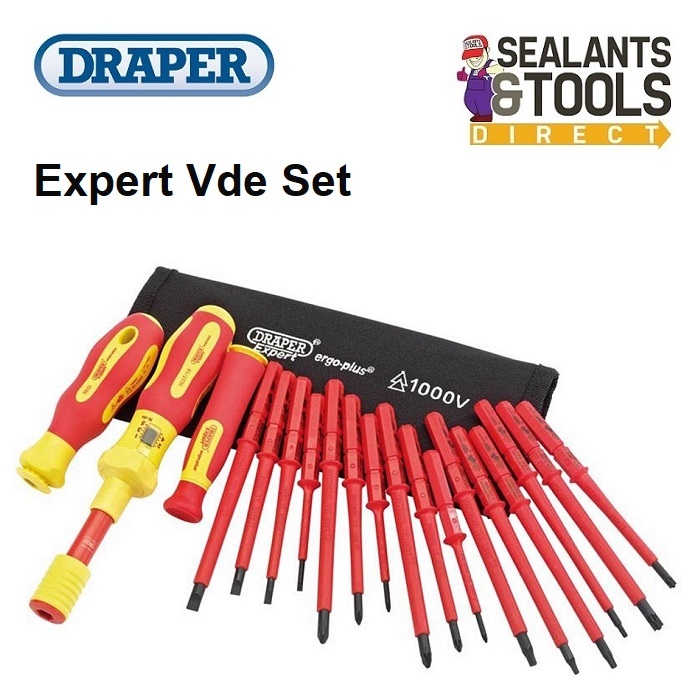 Draper 965T-19 Expert Ergo Plus Interchangeable Vde Screwdriver Large Set. Expert Quality, interchangeable VDE torque screwdriver, intended for professional electrical applications. The Torque Screwdriver makes this set particularly suited to fuse board applications. Perfect for torque-controlled tightening of screws, which helps avoid damaging screws and tools whilst ensuring a safe and secure screw connection. The adjustment scope for the torque screwdriver is 1.0 – 5.0 Nm accuracy +/- 6%. Individually tested to 10,000V and fully compliant to EN60900: 2012 standards, permitting use on AC circuits up to 1000V and DC circuits up to 1500V. Suitable for attaching to all existing Draper Expert 965 interchangable range screwdrivers. The VDE interchangeable blades are made from SVCM steel for added strength and deliver a fast and easy press in auto-lock action with a simple release method. Supplied complete with calibration certificate, a selection of blades suiting all popular applications and a convenient canvas roll for secure transportation and storage. PZ TYPE products are compatible with Pozidriv Supadriv fixing systems.